What’s in a game? With more than a billion people using the Android operating system, we wonder what the future holds for gamers on this ubiquitous platform. With a 75% share of the market and a billion users, Android is the MVP player in the mobile game. The latest iteration of the Android OS continues the list of alphabetical confectionary. Marshmallow was officially released last October and improves the Lollipop experience. A new version – Android N (nougat?) – is due in May. What can we expect? On the official Android blog, there is a lot of talk about Project Fi. Project Fi is all about affordable, all-encompassing, wireless connectivity. By partnering with both networks and hardware providers, Project Fi promises an even more connected experience. For gamers, this means never having to quit that winning streak or pull out of that poker tournament. Described by Google as the ‘network of networks’, there’s a good chance Project Fi will be a ‘promoted option’ on the Android OS of the future. Google will try to consolidate the world’s networks to benefit its users. In a connected world, we can be exactly what and who we want to be. We think the new Android OS will enable gamers to create truly unique online identities that can be used across multiple applications and websites. 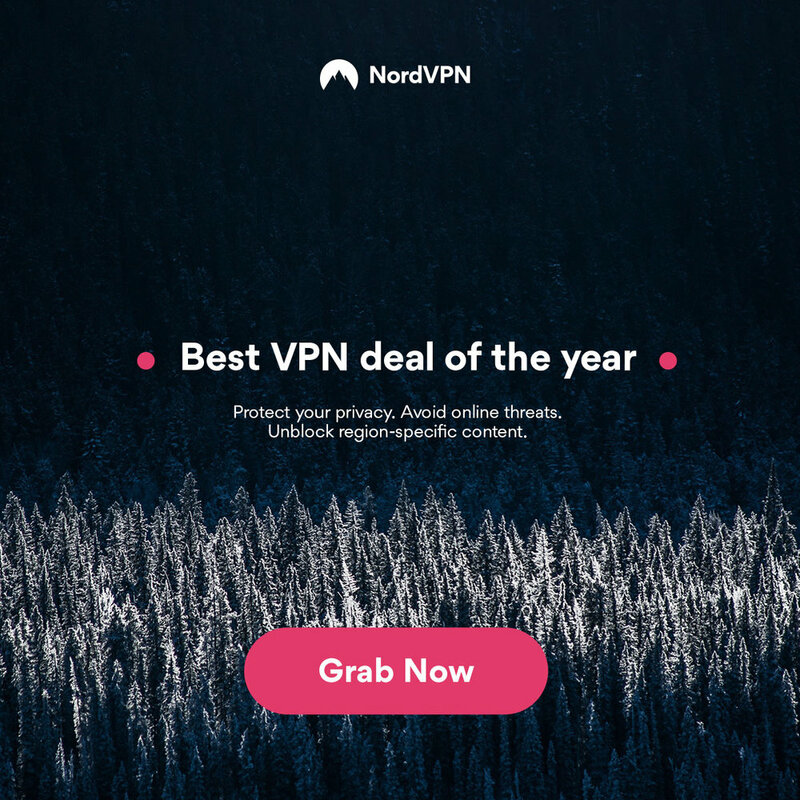 Rather than access your favourite online casino or gaming site with a specific user name and password, unique to that particular client, you will use your generic Android Gamer ID. The advantages of this could be both simple ‘one-stop’ banking and community-based play. It will be easier to find friends and be discovered. You can also develop an online reputation for your avatar and ID. Online casinos and gaming sites would need to sign up to the system. Mobile gaming follows the hardware. As mobile devices get more complex, and more central to people’s lives, mobile gaming follows suit and gains in sophistication and ease of access. Android will facilitate online casino gaming and support the shift from land-based to online action. As the hunger for tax revenues increases, more and more territories will give online gaming the green light. Significant jumps in mobile OS technology are far and few between. What is unrelenting – however – is ‘improvement’. All the recent Android updates have been mainly about enhancing and improving what’s already on offer. It’s not a surprise that mobile devices have been overtaking desktop ones, both in technology and usage, in the last few years. Up to 2013 the hours of desktop use, per day, in the USA, overtook mobile devices, and it was 2013 when they were both used exactly equally, and after then mobile devices overtook desktops, in their hours of usage. Even though TVs are still the most device, to watch media content, it’s usage is slowly going down year by year. Online games have become much more advanced in the last few years, too, in their graphics and audio advancements, but also the range of games available, on PCs, consoles and mobile devices, and the span many genres, including first-person shooters, strategies games, and massively multi-player online role-playing games (MMORPGs.) Many online games, especially MMORPGs, create their own communities, whilst other games, especially social games, integrate the players’ existing real-life communities. With apps now widely used, on mobile devices, it’s now easier, and cheaper, to play games which have been downloaded onto your device, as once downloaded then internet connection is not normally needed to play favourite games, from games for preschoolers, to zombie fight, and skilled driving games. There are also online casino games which have big jackpots, so you can play here on these sites, to see what they have to offer. Betway has a range of casino games, from roulette, blackjack, and slots, with welcome bonuses for new players. There has been a growing popularity f using different digital device, using data from Global Web Index 2015. To search the internet 91% of this was done by PCs and laptops, 80% by smartphones, 47% by tablets, and 37% by games consoles. The emerging devices used to search the internet were smart TVs (34%,) smart watches (9%,) and smart wristbands (7%.) 80% of internet users owned a smartphone. Mobile apps account for 89% of media time, the most popular being social networking, email, and news apps. The most dominant tablets are still iPads, with Kindle Fire and Android now accounting for over 10% of all tablets. The time spent on Android devices was that 32% was on games, 18% on Facebook, both entertainment and utility take up 8% each, and browsers taking up 20% of the time. This recent information shows the increase in mobile devices and why this is so. Paying proper attention to videogames is, as it should be, the number one concern of many dedicated gamers in the UK. As every proper player knows, you can spend hours glued to the screen, forsaking human comforts as you battle through the demands of Call of Duty. As office workers know, sitting in the wrong chair at the wrong height for a long time can affect your health, giving you back ache and a poor posture. But though if you’re sitting at a desk playing from your laptop a good ergonomic office chair is a good option, what you really need is a special gaming chair. The X-Rocker Wireless II Gaming Chair features surround sound, a sub woofer, and wireless capability, for a fantastic multi media experience. Of course, ultimately the best thing for anyone is a healthy home cooked meal, cooked from scratch, but let’s face it: During a tricky moment in Zelda it’s essential that you don’t stir from your chair. You could call for a pizza, but even answering the door takes valuable time. The answer lies in grabbing an energy boosting health drink which can just sit by the console sp you can sip and improve concentration without affecting your score. When you’re sitting at home and no-one can see you, it’s fine to just slob out in any old t shirt and trackie bottom, right? Wrong. As motivational coaches up an down the country will tell you, it’s important to dress for success and for these reason we recommend wearing the right clothing for the job. Like this Mario-style t-shirt. It will help you assume the character of your favourite, er character, and once you are in the correct mindset of a plump Italian plumber, success is (almost) absolutely guaranteed. Sound on games has evolved beyond the loveable bleeps and beeps of the past which could be turned off when they got too annoying with not much effect on play into a fully integrated part of the gaming experience. We love these Harmon Kardon sound sticks because they look totally sci fi and we think that they’re like something Dr Who would have, if Dr Who needed perfect sound to enjoy his MMORPG properly. Aesthetics aside, the speakers perform really well and are easy to install. Well, that’s our list of favourites. What are your gaming essentials? Do you agree that these are all you need for a good night in or would you add anything? iOS or Android: which offers more? When the first iPad was released back in 2010 many commentators questioned whether they would succeed; given that they didn’t seem to fulfill an obvious gap in the market. Too large for a pocket, unable to take calls - buy an iPad the joke went and pay hundreds of dollars for a bigger, more useless version of the phone you already have. Time has clearly shown those early naysayers wrong; as 229 million tablets were sold worldwide last year. Approximately 68 million, or 30%, of the total were Apple devices and while collated Android sales figures are not yet available for 2015 it is likely in the 140m - 150m range; confirming that these two operating systems maintain a virtual duopoly on the tablet market. Assuming your choice is between an iOS and Android device, what are the main advantages of each system? The primary advantages of iOS are twofold - it is incredibly intuitive and, because the system is built for a very small range of devices, the 500,000 iPad specific apps will run extremely well; with few glitches or crashes. However for the trademark Apple style, you will have to pay somewhat over the odds. Android tablets are sold by a variety of manufacturers, and utilise a wide variety of hardware. Samsung, Kobo, Asus and, of course, Google have all released successful tablet ranges running Android - but on a wide variety of screen sizes, processor types and other hardware options. Although this gives the consumer a relatively larger choice it comes with usability drawbacks - you may download an app for your Android tablet and find it requires hardware your model doesn’t have. You’ll also run into more bugs and crashes - but be compensated by a larger range of titles and the greater freedom given to developers in the Android framework. As an example, Android users rave about Tasker which allows you to program your phone to perform actions when triggered; like turning on WiFi as you approach home, for example. No equivalent app exists for iOS because Apple are incredibly reluctant to give any developers the “under the hood” access these apps require. Of course both systems share their basic functionality and have a large overlap in the range of compatible apps. Whichever system you buy you’ll be able to watch TV on Netflix, read emails or play video games on the move. Given the recent surge in popularity of “interactive gaming”; betting to you or I, most casinos and bookmakers ensure their full suite of games is available on all platforms. Before making your choice try to think what you want to use your new tablet for. If you’re just looking to watch videos and music; Android will likely fulfill your needs at a lower price. If however you’re looking to do a bit more, organising emails, contacts and calendars for example, you’ll likely find iOS far more simple and intuitive. Amsterdam, 27 May 2014 – The trends in the monitor market go to larger screen sizes and higher resolutions. AOC now combines both of these trends: With the u2868Pqu, the display specialist launches a 28ʺ (71.1 cm) monitor with the stunningly high Ultra HD resolution of 3840 x 2160 pixels at a 60 Hz refresh rate. Equipped with DisplayPort, HDMI (MHL) and USB 3.0 connectors, the sophisticated display also comes with full ergonomics to meet the high standards of professionals and demanding home users alike – at a surprisingly low price. CAD/CAM professionals, architects, engineers and power users at home – all will benefit from the finely detailed pictures delivered by the u2868Pqu’s latest TN panel technology. Thanks to the Real 8-bit +FRC arrangement, more than a billion colours can be produced. With the Ultra HD resolution (3840 x 2160), over 8.29 million pixels are displayed in a 16:9 aspect, equalling four times the pixel amount of Full HD panels. The 28ʺ model delivers UHD resolution with a refresh rate of full 60 Hz. With a pixel response time of 1 ms only, the u2868Pqu is even perfect for working on or watching fast-paced action video clips or enjoying games. Delivering a luminosity of 300 cd/m², the UHD model is well-suited for desks with bright ambient light. The picture-in-picture and picture-by-picture functions allow watching images simultaneously from different signal sources, such as (4K) Blu-ray players or PCs. The u2868Pqu boasts a classic design with a finely texturised surface in black. For full ergonomic flexibility, the bezel offers an intelligent cable management, tilt, swivel and pivot (90° rotation) functions as well as height adjustability of 130 mm – adjusting the monitor to individual users results in reduced eye and posture fatigue. The monitor is capable of receiving signals via its DisplayPort, HDMI, DVI and D-Sub connectors. For Android enthusiasts, the HDMI connector also offers MHL (Mobile High-Definition Link) connectivity to directly mirror smartphone and tablet screens onto the big screen. In addition, AOC equips the display with four USB ports, two each of the 2.0 and 3.0 standard, as well as a set of integrated 3 W speakers. The monitor can be fixed on VESA compliant wall mounts and racks. AOC offers a 3 year warranty with on-site exchange service for the u2868Pqu. The Ultra HD monitor is available as of now at an MSRP of £ 499. Well I'm pretty confident that we can say that Microsoft's Xbox One and Sony's PS4 are this years flagship gaming consoles. Both beast's in their own right, with fantastic specs, killer game titles and unique experiences each. But just which one has done better, which one has won over more of the hearts of our ever growing tech and gaming society? Well read on and find out. The Xbox One made by Microsoft released November 22nd 2013 was the sucessor to the Xbox 360. How has it done? Well lets just cut to the chase, the One has sold according to Microsoft 3.9M as of Janunary 1st 2014, then April 17th 2014 the company came back saying that they sold 5M units. Now that sounds like amazing sales, but is it really? Without a doubt this console should be compared to the Sony PS4 it's ultimate rival, and how did that console do? The Sony PS4 the sucessor to the PS3 is also an amazing gaming console in it's own right. Sony came out saying that they sold 4.2M units as of Janunary 1st coincidentally also the same day as Microsoft announced their results. Then April 6th they said over 7 million units have been sold and thats an impressive number. Sony apparently made a goal of selling 5 million before the end of 2014, well the good news for them is they surpassed it by 2 million. Not so hot news for Microsoft as now they have to sell 2 million more of their Xbox One if they want to catch up to Sony. We have already done reviews on theses two consoles but what does theses results mean to you? Which console do you prefer? All in all theses gaming consoles are fantastic at what they do and would definitely be a great addition to your home entertainment system. 2013 was definitely a good year for online gamers – and there are so many to choose fromthese days – who knows where to start? Not to mention the surge of online bingo sites – you can’t turn on your TV’s these days without seeing a campaign for one! We thought we would let you know our top 5 for you to try for free! This is perfect for those comic book fans out there! You will see some of your favourite characters such as Superman, Wonder Woman as well as some villains too like the Joker! You get to choose whether you want to be a hero or villain and can utilise their weapons in your fight. You can even create your own custom villain or hero, you can choose how they look and even their combination of super powers. Have fun trying to conquer the universe. This is possibly one of the most famous online games around. It is a multi-player game that allows you to visit the unexplored world of Xen’drik. As it is a role playing game it allows you to essentially to create your own adventure. It’s action packed so you can expect to meet all kinds of characters and creatures. It does however feel very realistic – you can even change the camera view so you can see everything in a first person perspective. After the kingdom of Rendel crumbles you will find that there are all kinds of vicious characters swarming the kingdom looking to make it their own. The tagline of the game is “Hunt Together or Die Alone”. There is hope for you to save the kingdom but you need to join together with others and fight against those monsters. You need to be careful though as these monsters are scary and will stop at nothing to complete their takeover. This game will introduce you to Conan the Barbarian! In this game you will be allowed to explore Hyboria and know what it feels like to be one of the most renowned fantasy hero’s ever. There are 12 different classes that you can choose from and you will have to engage in combat with all kinds of creatures and monsters in your fight to the top. The graphics and animations are fantastic making everything feel realistic and more enjoyable to play. If you were a fan of the Lord of the Rings books or movies – then you will love this game! It allows you to be part of the action and even get your chance to explore middle earth in your own fight against the evil Salron. You will find some of your favourite characters features such as Gandalf, Bilbo Baggins, Strider and more. Throughout the game at specific times the game will put you in control of one of those characters to earn rewards. We did mention that there are some great new casino sites that have launched too – so if you want to try something a little different, you can and for free with some of the best paypal casinos in this site paypal-casinos.co. To celebrate the release of the next generation of consoles, tech brand Ebuyer has released Odyssey, a game that takes the player through the history of gaming. Odyssey tells the story of a young protagonist who is offered the chance to playtest a virtual reality headset, but when a glitch causes the computer's AI to degenerate into primitive fragments it's up to the Player to collect pieces of its memory in the form of past games consoles. The run-and-jump platformer features seven unlockable levels, each corresponding to a console generation, going from simple Atari aesthetics all the way to the lush hand-painted graphics of seventh generation games. Throughout the game the player will collect consoles, which will be added to an inventory where you can learn more about each one. Odyssey features a total of 102 consoles to collect - including many you may not be familiar with, like the Action Max and Sega Pico - as well as all your favourites such as the NES, PlayStation and Xbox. Stuart Carlisle, Managing Director from Ebuyer commented: "We're all gamers at heart and we all remember the amazing consoles from our childhood. At the same time, we're excited about the innovative new Xbox One and PS4, so we wanted to create something special to celebrate everything we love about console gaming. We want players to be able to have fun with Odyssey and at the same time learn more about the history of gaming." "We've been having a lot of fun playing it around the office, and I have to say that we've got quite good at it. We're looking forward to seeing whether players around the world can match up to our skills and collect every console." With the next gen consoles due any day now, excited gamers are readying themselves for an awesome lead up to the Christmas season. The choice between the Xbox One and the Sony PS4 is a tough one, but the game choice for fans of first person shooters is a lot easier … with COD Ghosts being top of many a list. The guys & girls at Music Magpie have put their generous hats on and have put together a nice prize booty. 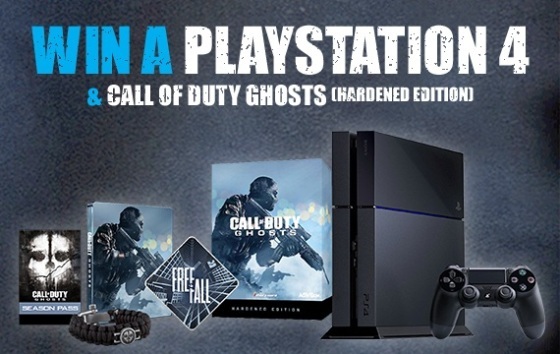 Head on over to THIS PAGE to enter and be in with the chance of winning a Playstation 4 with Call of Duty Ghosts (Hardened Edition). There are also some COD runners up prizes too. If you are looking to trade in some of your older game titles, check out the Music Magpie service whilst you are there. 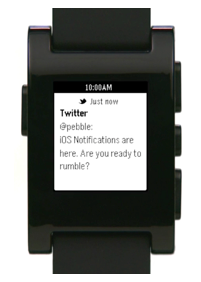 Pebble today announced a significant update to its smart watch that allows any Notification Center alert to be pushed directly to the watch, a big improvement from the prior version which only allowed some notifications like calls and text messages to be sent. Happy Wheels, despite the innocuous-sounding name, is a gore-soaked platformer in which you attempt to conduct your vehicle to the finish line without loss of limbs or decapitation. It’s extremely unlikely that you’ll succeed, based on my experience. Very funny; not very nice. At the other end of the spectrum are educational games such as Eight Letters In Search Of A Word. This is one for Scrabble players and fans of Countdown; make the longest word you can from the random letters, with an eight letter anagram every five rounds. Crashing one’s balloon in a wasteland at night, and having to fend off weird creatures with increasingly advanced weaponry: it’s something we’ve all done, and at last there’s a Flash game that reflects our experiences. It’s called Balloon In A Wasteland, as you may have guessed. Online bingo is a good way to use up those empty office hours. At bingo.com you’ll find all the bingo-related thrills you’ll need to keep you going until hometime. Bonuses are available for new players, and there’s a chat function. Old people (i.e. people born in 1981 or earlier, like me) will be thrilled to hear that classic shooter Doom is now available as a play-for-free Flash version. Prepare to be sacked, as the chances of you stepping away from the game are exactly the same as they were twenty years ago, i.e. zero. There’s a profusion of poker sites of course, but if you want to practise before you play for hard cash, you could do worse than either Poker Practise or Learn Texas Holdem, both available at Flashgamepoker.com. Finally, another brain-tester that’ll maybe teach you something. Flags Of The World is fast and attractively designed, and really quite addictive as you battle the clock and other players to identify as many flags as possible. It’s online at Geography-map-games.com. Enjoy!